Type of works: supply and installation of sports equipment. 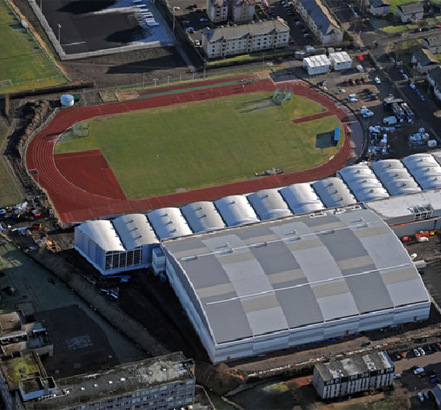 Aberdeen is set to get a major sporting boost with the opening of Aberdeen Universities new sports village in summer 2009. This is the creation of a modern, vibrant new facility which will provide a variety of sports for all. The specification of the sports equipment has to therefore match the facilities in terms of international standards and competition guidelines. From the outset, Alpha Leisure has developed the clients requirements and produced a sports package to meet their needs. Alpha Leisure has worked closely with client and sourced the best value and product of fixed and portable sports equipment. All supplied match play equipment is approved by their governing bodies and is suitable for high standards of play. The sports package included premier service which offers the client dedicated high-level consulting and on-site performance. In order to maintain the highest level of service and sporting performance, Alpha Leisure has secured a 3 year maintenance contract to support the facility, with both a planned and reactive maintenance service.